By RedFoxYarns, on July 31st, 2017 In: Uncategorized. Wow, it’s August tomorrow… which means September is right around the corner. Summer always seems to fly by! The fall yarn will start to roll in any day now, so keep an eye on the Vendors page to see what’s new. Visit the store to see how I manage to display it all… if I can! I’m starting to get the fall classes together, too, with a nice mix of techniques classes and project workshops (or both combined!). 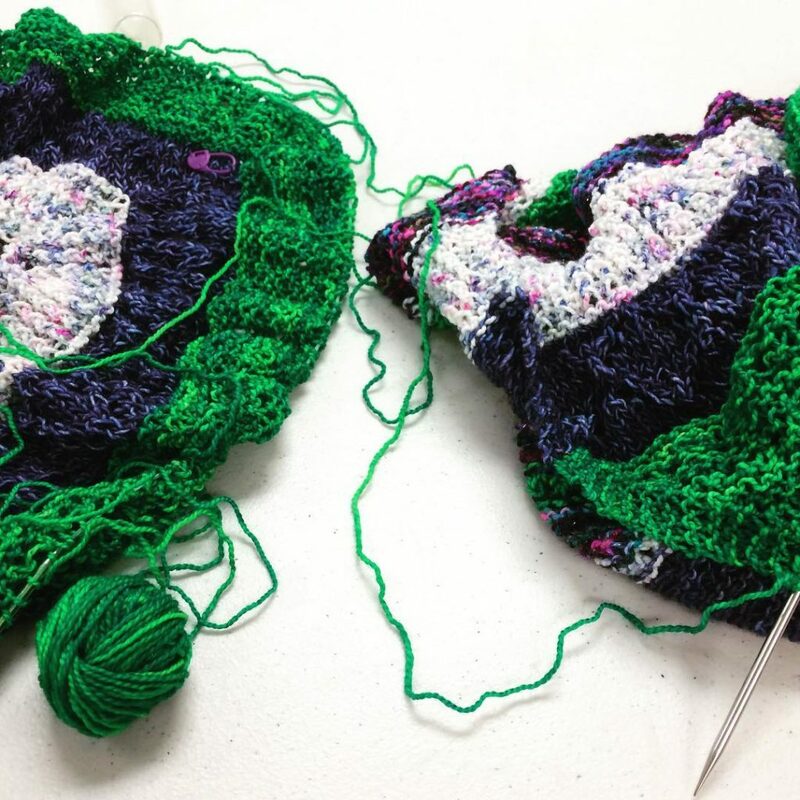 There will be beginning knit and crochet classes, and there will be another How to Knit Sweaters that Fit! Classes will be in the newsletters (and on the Classes page) as soon as they’re finalized. Now I just need to finish up my SUMMER knitting…!